The best place to alter the length of the bodice for this style is between the WAIST and the HIP. 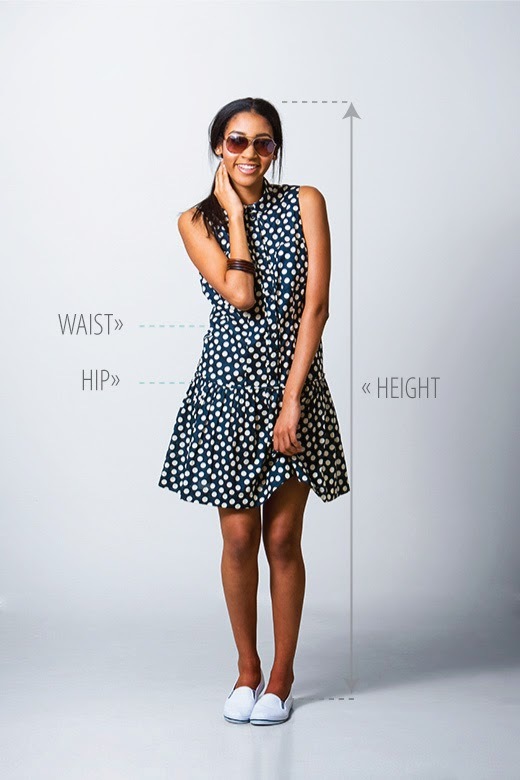 Our dropped waistline falls right on the hip line at about 18.2 cm below the natural waist for the size 36 (subsequent sizes increase by 0.3cm). 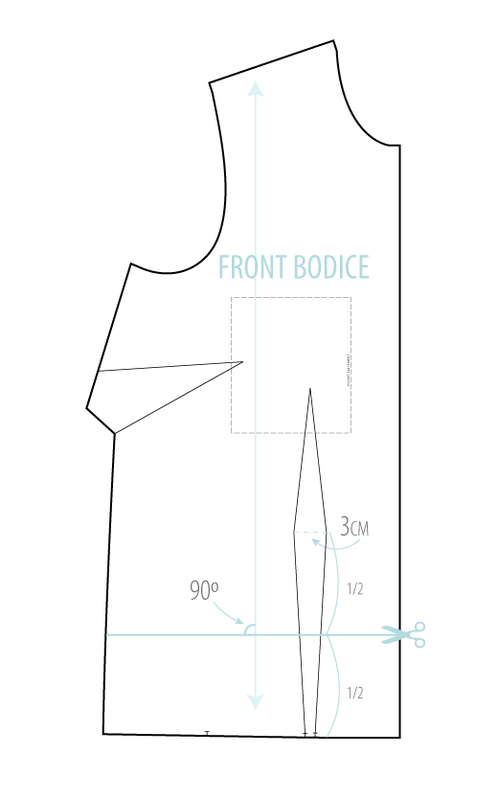 Working with the front and back bodice of the Dropped Waist dress: Draw a line 90º to the grainline, 1/2 way between the waist seam and the center of the contour dart – the centre of the dart is the widest part that should measure 3cm between the dart points. This is also where the waistline is. Cut the pattern a part on this line. To Shorten: Overlapp the pattern pieces by the amount needed to shorten and tape in place, making sure to use the same measurement for the front and the back bodice. Blend side seams and cut off excess. Redraw dart legs. Shorten the front binding and placket by the same measurement. 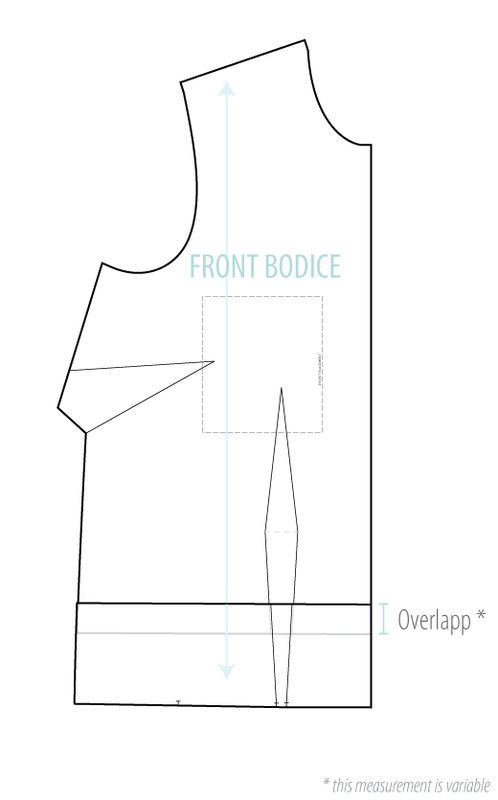 To Lengthen: Place a piece of paper underneath the top of the bodice section. Measure on the paper the extra amount needed to lengthen and draw a line. Extend the grainline on to the paper. 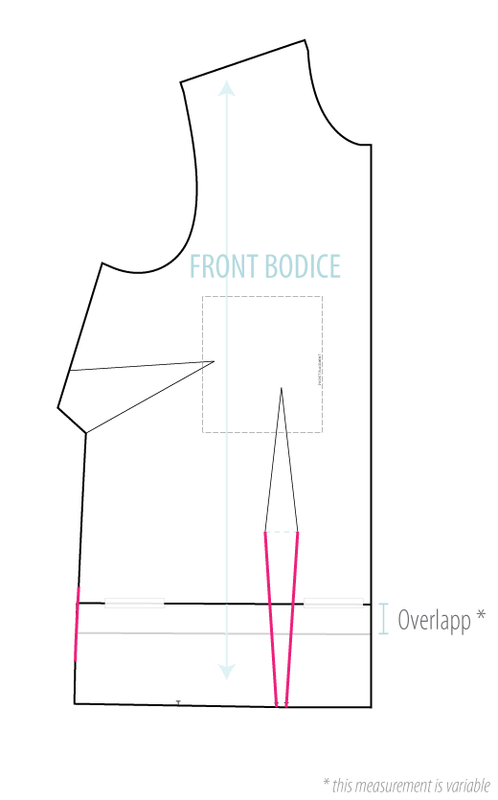 Place the lower section of the bodice onto the paper at the line drawn and match grainlines. Tape in place. Draw in new side seam and dart legs. Lengthen the front binding and placket by the same measurement. True your pattern: This is where you take your pattern pieces and align them up in the way that they are to be sewn to make sure the pattern fits together accurately. I.e. place the front bodice on to the back bodice aligning the side seams and “walk” the side seam. 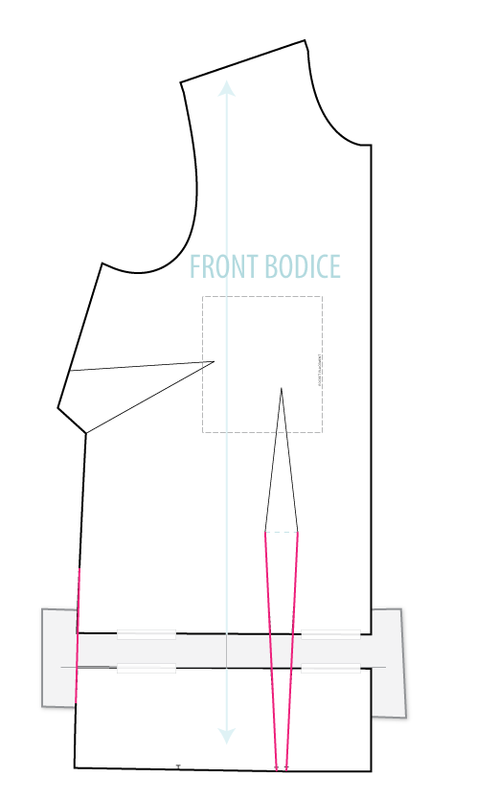 Be sure to check that the PLACKET and FRONT BINDING also fits together well with the Front Bodice. You may still need to adjust the Skirt length to get it 100% but thats an easy one to change by changing the hem allowance. With any pattern changes we recommend making a toile in a cheaper fabric to check the fit before constructing in your chosen fabric. I hope this little tutorial helps to customise the fit and get a perfect fit for you.